As the heroin and opiate addiction epidemic continued to command attention on the local and national level, this story shone a spotlight on a local drug crisis that still hasn’t been covered anywhere else—a dramatic spike in deaths from methamphetamine overdoses that highlights the need for supervised consumption facilities, staffed with professionals who can reverse and treat overdoses, for all illicit drugs, not just heroin. As political leaders focus their attention on the ongoing epidemic of heroin and prescription opiate addiction—an epidemic that claimed 132 lives in King County in 2015, the last year for which statistics are available—another drug crisis may be developing right under their noses. Since 2010, according to data just released by the University of Washington, the number of deaths related to methamphetamine has risen steadily throughout Washington State—from 1.8 deaths per 100,000 state residents in 2010 to 4.9 per 100,000 in 2015. In King County, the number of meth-related overdoses increased by 257 percent between 2003 and 2015. Dr. Michael Sayre, the medical director for the Seattle Fire Department and a Harborview-affiliated emergency medicine doctor, calls the uptick in meth ODs “the most significant trend in drug-related mortality” in the region. Caleb Banta-Green, a researcher with the University of Washington’s Alcohol and Drug Abuse Institute and a member of the King County Heroin and Prescription Opiate Addiction Task Force, says one reason for the uptick in meth use is the fact that “cocaine availability has tanked in the last five years.” Meanwhile, meth has become more potent and readily available than ever before. People appear to be using meth as a cocaine substitute, even though, according to Banta-Green, the two drugs are quite different—cocaine is shorter-lived and less intense than meth, which can provide 20 times the dopamine hit and last many hours longer. “You don’t hear a lot of people saying, ‘I use cocaine because it helps me stay at my job longer.’ You do hear people say that about methamphetamine,” Banta-Green says. So why haven’t you read about this emerging epidemic? One of the reasons may be simply that, unlike for opiates, there aren’t any particularly effective medical interventions for meth overdoses or addiction. Methamphetamine addicts seeking treatment face a similar dearth of medical (as opposed to behavioral) treatment options as those with other addictions. While heroin addicts have the option of medication-assisted treatment with methadone or buprenorphine (Suboxone), two prescription opiates that serve as replacements for more harmful drugs like heroin, there is still no medication-assisted treatment for stimulants like meth. Drug replacement therapy with other stimulants like Adderal (a drug that’s very closely related to meth) doesn’t appear to work and can be dangerous to users who already have high blood pressure and enlarged hearts; and although two antidepressants, buproprion (Wellbutrin) and mirtazapine (Remeron) have shown some promise in reducing meth use in chronic users, neither has been widely tested or shown impressive results. “I’m not very optimistic that we’re going to get a good medication any time soon,” says Dr. Andy Saxon, who directs the Center of Excellence in Substance Abuse Treatment and Education at the Veterans Administration in Seattle. Instead, Saxon says that the best treatment he’s found for meth addiction is a behavioral approach called contingency management, where users are given rewards with some monetary value if they stop or reduce their use. The VA, for example, uses what Saxon calls the “fishbowl technique.” Veterans who pass a drug test get to pull a card from a fishbowl (or more than one card if they’ve passed several tests in a row); the reward on the card could be anything from verbal reinforcement (“Nice work”) to a $100 gift card for the VA store. The idea is to replace the hit of dopamine produced when a user takes a drink or a hit with a monetary reward, since both rewards act on the same pleasure center in the brain. Other moderately effective treatments include cognitive behavioral therapy, relapse prevention, and motivational interviewing, all mainstays of traditional treatment programs. Sayre suggests a few solutions that could help meth users in the immediate and long term. First, he says, the state needs to do everything it can to ensure that users in crisis feel safe seeking help. Existing “Good Samaritan” laws, which shield people seeking medical help for an overdose from prosecution, should be expanded to cover people who are on parole, on probation, or who have outstanding warrants. 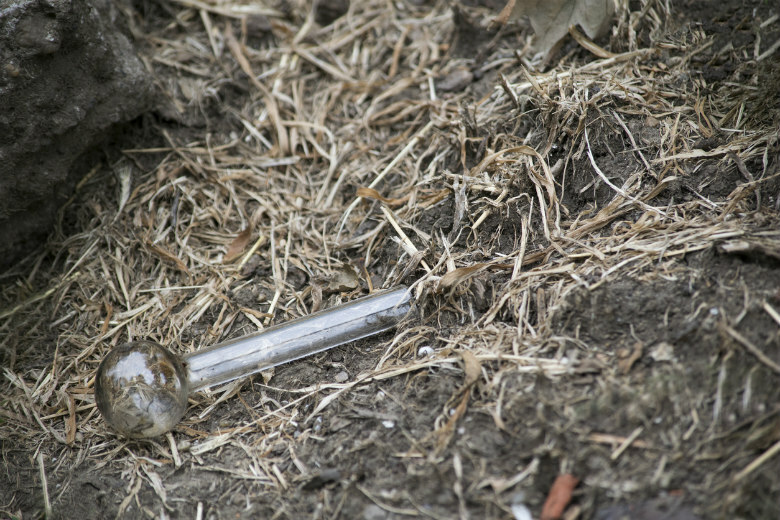 Second, existing outreach programs, such as needle exchanges, should provide incentives for meth users to come in and access their services, such as providing new, unbroken meth pipes. (The People’s Harm Reduction Alliance, which runs a needle exchange in the University District, already does this.) And third, “maybe we need to think more seriously about offering safe spaces and more help for people who are tweaking”— overstimulated on meth—where they can get access to treatment and other services. As it happens, the county has already proposed creating such a space. It’s called a community health engagement location (colloquially known as a safe consumption site). But it’s generated significant controversy, and is currently the subject of an initiative designed to ban all such facilities across the county.